555 Placerville Drive is the site of a former commercial fueling station, and is currently occupied by a commercial business. Another commercial fueling station is currently operating down the street at 519 Placerville Drive. In April 1999, petroleum hydrocarbons were detected in a groundwater seep discharging into Hangtown Creek, apparently from one of the fueling stations, or both. In May 1999, the State Water Board issued a Cleanup and Abatement Order to the owners of both fueling stations to work jointly on investigation and cleanup efforts since plumes from each site had apparently commingled beneath the two properties. Soil samples taken on and around both properties the same year revealed hydrocarbon concentrations as high as 2,200 mg/kg TPHg, 11,000 mg/kg TPHd, and 27 mg/kg benzene. An interim groundwater extraction and remediation system was installed in June of 1999 by both parties to inhibit migration of petroleum hydrocarbons and impact to Hangtown Creek. The joint remediation system operated until June 2005 and served as monitoring wells thereafter. 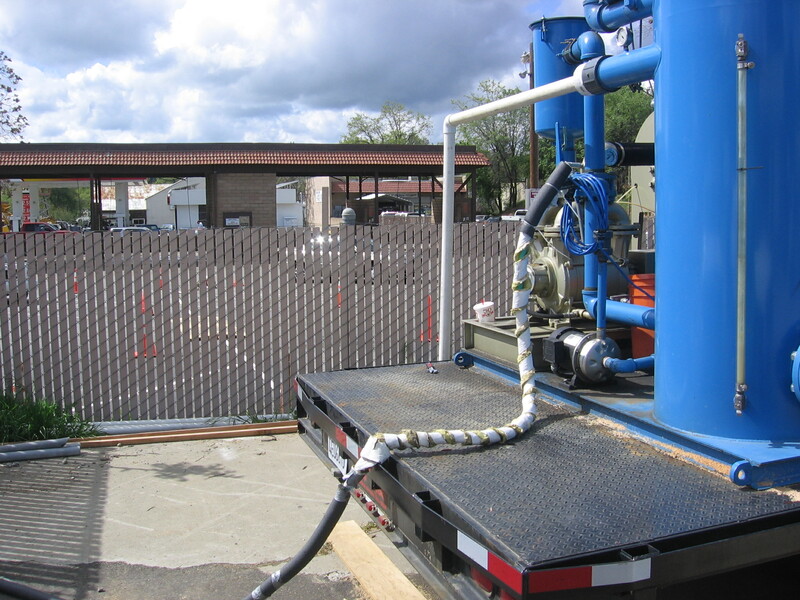 In October 2005, a weeklong vacuum extraction test was conducted using a portable high vacuum extraction unit on the extraction wells located along the creek and the rental center. As a result of the test, the unit was operated along the creek on a weekly basis for two months. Due to a reduction in contaminant concentrations, the remediation system at 519 Placerville Drive was shut down in January of 2005, and the joint remediation system and 555 Placerville Drive were shut down in June of 2005. In August of 2009, the State Water Board issued a No Further Action Required letter, stating that, “As a result of past remediation and continued natural attenuation, this site does not appear to pose a threat to human health and safety or to the waters of the State.”.